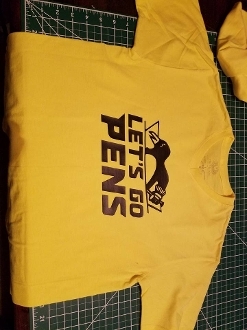 PITTSBURGH PENGUINS 2017 T-SHIRT CHOOSE COLOR & SIZE. COLOR CHART IS FOR THE COLOR OF THE SHIRT. LOGO OPTION IS FOR THE LETTERING AND LOGO.